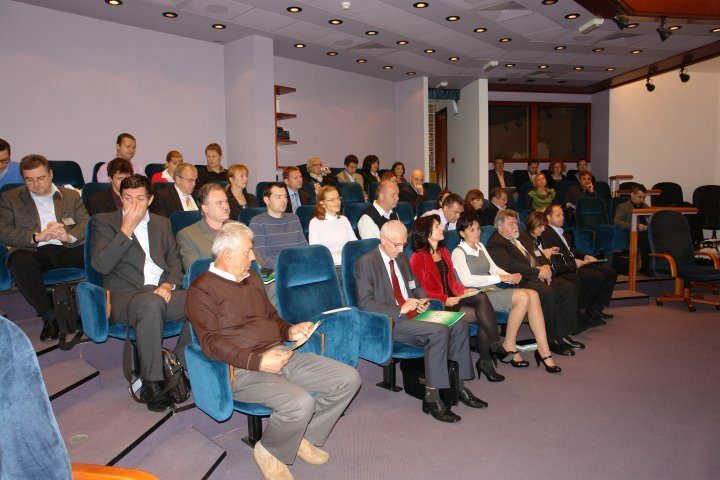 On Thursday, October 25, 2012 Gorenje hosted a presentation of the activities and opportunities for further cooperation between the founders of the RCE – Energy Development Center, which also include Gorenje. RCE was founded in 2011 in order to promote economic growth of the companies dealing with energy engineering in Slovenia and internationally. Seventeen research and development projects are planned by 2014, which will be co-funded by the Ministry of Economic Development and Technology of the Republic of Slovenia, and the EU – European Regional Development Fund. Apart from Gorenje, partners in the research and development center RCE include the following companies: PV Invest, Premogovnik Velenje (Velenje Coal Mine), HTZ, Termoelektrarna Šoštanj (Šoštanj Coal Power Plant), Esotech, Komunalno podjetje Velenje (Velenje Utilities Company), MIEL Elektronika, Artes, Energetika Nazarje, Bahč, Velenje School of Environment Protection (Visoka šola za varstvo okolja Velenje) and the University of Maribor. Apart from Gorenje, partners in the research and development center RCE include the following companies: PV Invest, Premogovnik Velenje (Velenje Coal Mine), HTZ, Termoelektrarna Šoštanj (Šoštanj Coal Power Plant), Esotech, Komunalno podjetje Velenje (Velenje Utilities Company), MIEL Elektronika, Artes, Energetika Nazarje, Bahč, Velenje School of Environment Protection (Visoka šola za varstvo okolja Velenje) and the University of Maribor.